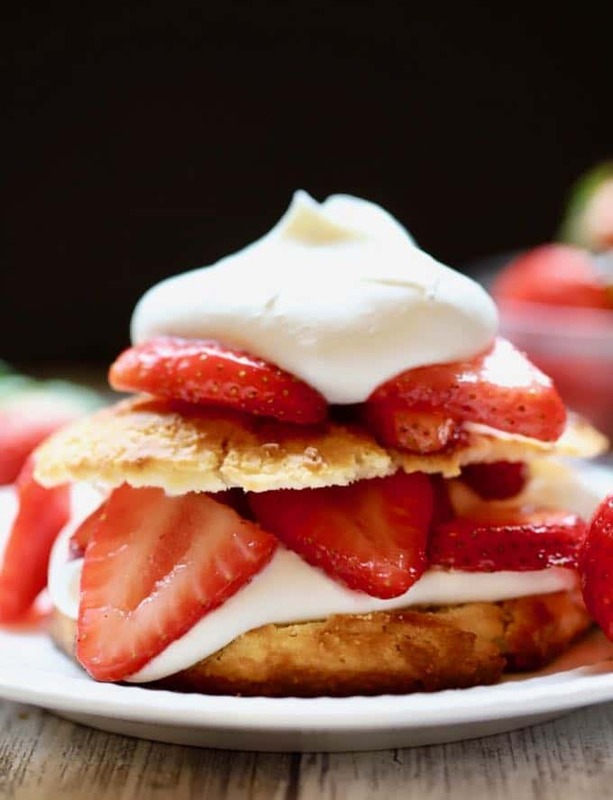 Classic Southern Strawberry Shortcake is the stuff dessert dreams are made of and for good reason; with fresh red, juicy strawberries, billowy clouds of whipped cream, and crunchy sweetened cornmeal biscuits, this dessert is a winner! Strawberry Shortcake has been a classic since the recipe first appeared in an English cookbook in 1588. 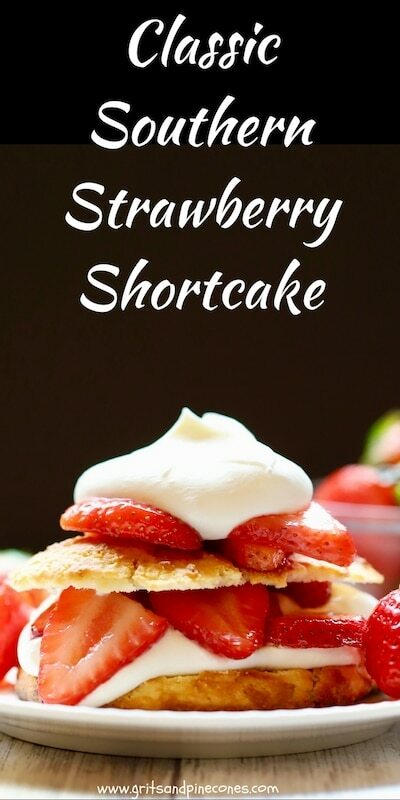 There is even a Strawberry Shortcake Day every year on June 14, to celebrate this sweet “old school” treat. 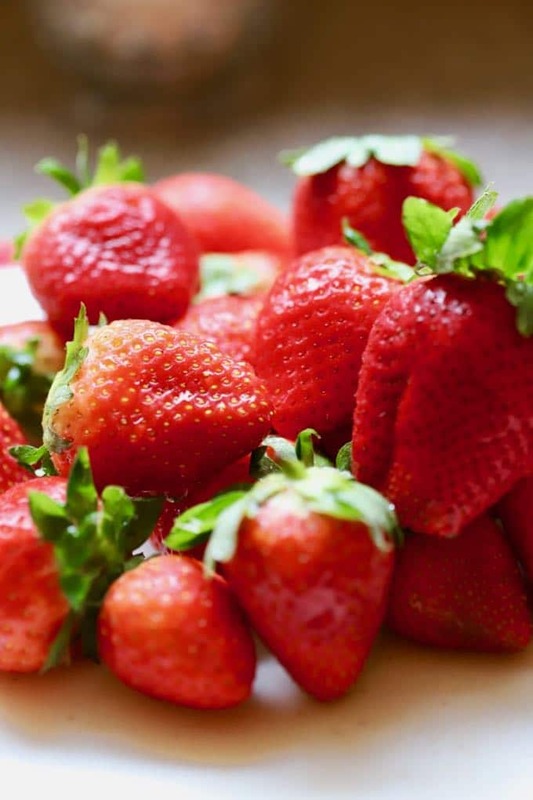 When I went to the grocery store the other day, the first luscious, juicy, plump strawberries of the season were starting to come in, and they were so pretty, I couldn’t resist buying two pounds of the delicious berries. And what better way to savor these flavorful morsels than with a Classic Strawberry Shortcake? So I pulled out my trusty recipe and decided to change things up a bit with the addition of cornmeal to the biscuit dough. And you know what, the cornmeal made the sweetened biscuits even more delectable, if that is possible, and gave it a really nice crunch. This is now my favorite way to make Strawberry Shortcake and, if you like cornmeal, then I’ll bet it will become yours too! I hope you will give it a try! Red, White, and Blue No-Bake Ice Box Cake. To make the strawberry filling, mix the sliced strawberries and sugar in a bowl and let it sit for about 30 minutes. To make the sweetened cornmeal biscuits, preheat the oven to 450 degrees F.
Place the flour, cornmeal, sugar, baking powder and salt in a food processor. Pulse a few times to combine everything. Or, if you don’t have a food processor, place the ingredients in a large bowl and whisk to combine. 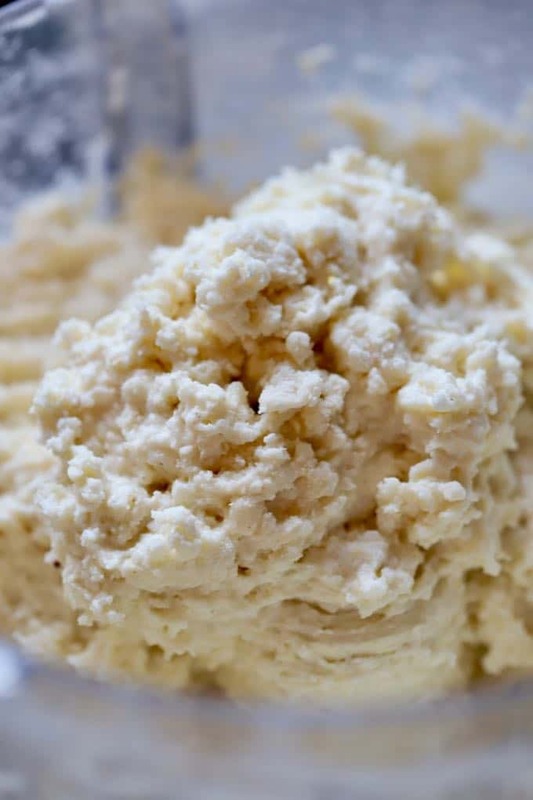 Add the cubed butter to the mixture in the food processor and pulse a few times until the flour mixture resembles coarse crumbs. 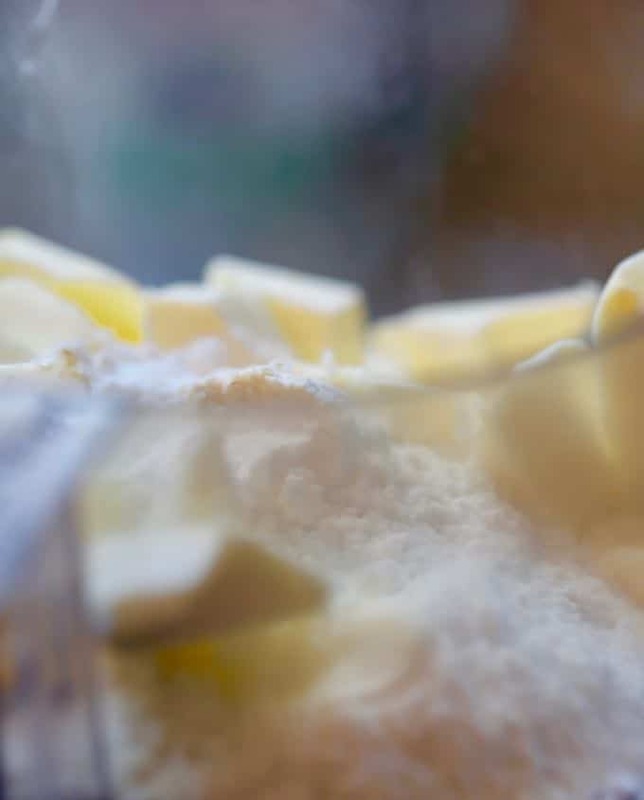 Or, you can cut the butter in with a pastry blender or fork until the flour mixture resembles coarse crumbs. Add the buttermilk and stir until the mixture just comes together. Do not over-mix or your biscuits will be tough. If the mixture seems too dry, add a little more buttermilk, about a tablespoon at a time. If the mixture appears too runny, add a little more flour, about a tablespoon at a time. 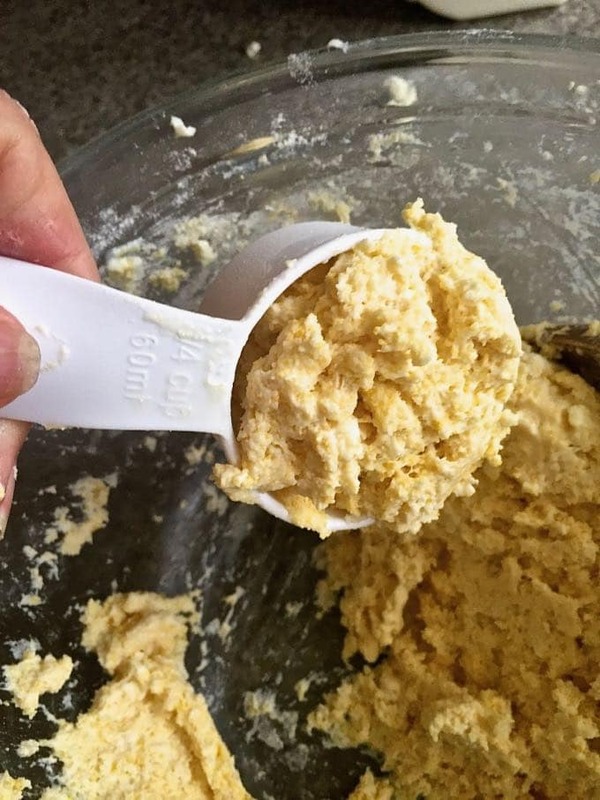 Spray the inside of a 1/4 cup measuring cup with non-stick cooking spray and use it to scoop out your biscuits. Drop the biscuits about an inch apart onto a greased baking sheet or a baking sheet that is lined with parchment paper or a silicone baking mat. 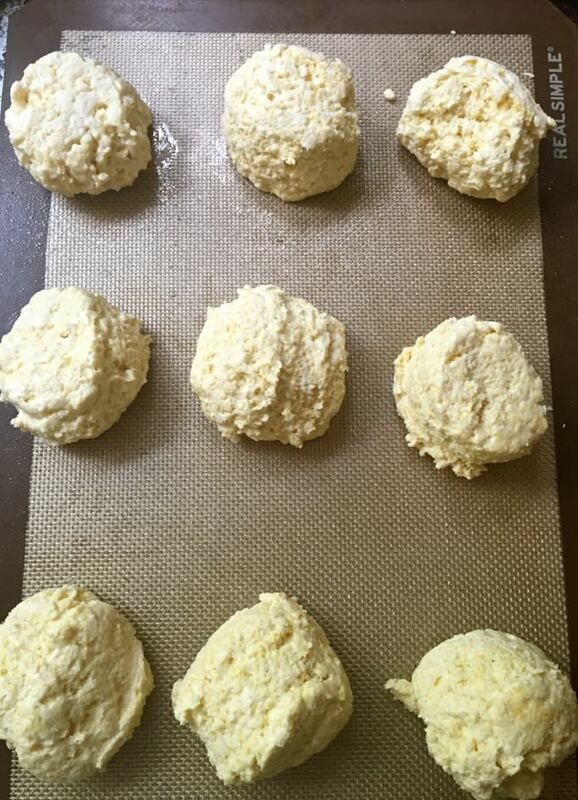 Bake the biscuits for 12-14 minutes or until lightly browned on top. How to make Whipped Cream. Place a metal mixing bowl and electric mixer beaters into the freezer for 10 to 15 minutes. Place the sugar into the mixing bowl and add the whipping cream. Whisk just until the cream reaches stiff peaks. Store any unused portion in an airtight container in the refrigerator. To assemble, slice the biscuits. 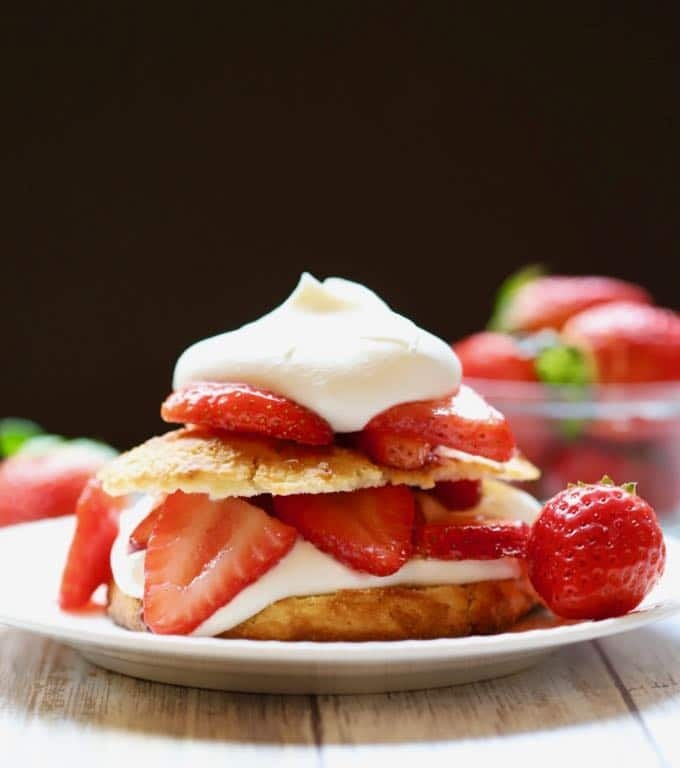 Add a generous layer of whipped cream, and a generous layer of strawberries to the bottom biscuit half. Place the top of the biscuit on top and repeat the layers. Serve immediately. Not in the mood to make biscuits or just don’t have time? Substitute slices of angel food cake, or the small cake dessert shells you can purchase at your bakery. Of course, you can also substitute frozen whipped topping, or canned whipped cream for the homemade whipped cream too! Want to ramp up the flavor of the strawberries? Add a splash of Grand Marnier or a bit of lemon juice to the strawberry mixture if you really want to enhance the flavor. 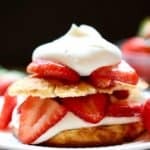 Classic Southern Strawberry Shortcake is the stuff dessert dreams are made of and for good reason; with fresh red, juicy strawberries, billowy clouds of whipped cream, and crunchy sweetened biscuits this dessert is a winner! 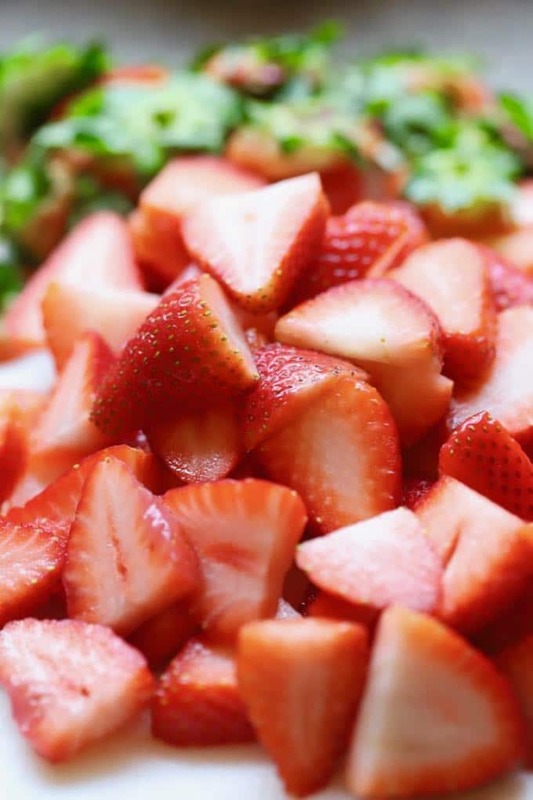 Mix the sliced strawberries and sugar in a bowl and let it sit for about 30 minutes. Place the flour, cornmeal, sugar, baking powder and salt in a food processor. Pulse a few times to combine everything. Or, if you don't have a food processor, place the ingredients in a large bowl and whisk to combine. Add the buttermilk and stir until the mixture just comes together. Do not over-mix or your biscuits will be tough. If the mixture seems too dry, add a little more buttermilk, about a tablespoon at a time. If the mixture appears too runny, add a little more flour, about a tablespoon at a time. Spray the inside of a 1/4 cup measuring cup with non-stick cooking spray and use it to scoop out your biscuits. Drop the biscuits about an inch apart onto a greased baking sheet or a baking sheet that is lined with parchment paper or a silicone baking mat. Not in the mood to make biscuits or just don't have time? Substitute slices of angel food cake, or the small sponge cakes you can purchase at your bakery. You can also substitute frozen whipped topping, or canned whipped cream for the homemade whipped cream too. Dear Albert, thanks so much for your kind comments! YUM, can’t wait to try this. The cornmeal biscuit sounds interesting. The cornmeal is what makes these biscuits so good! If you and WEH like cornmeal, I’ll bet you will love them!